How to prepare an invoice? 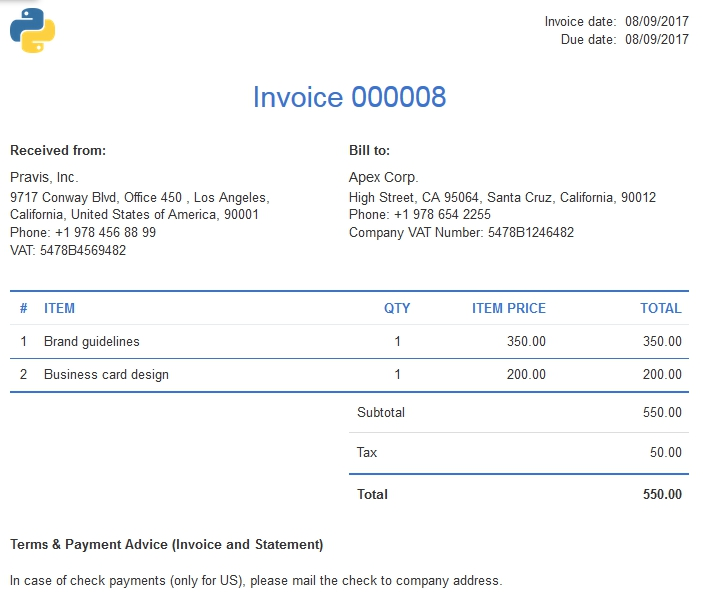 The invoices are prepared in Flowlu in a few seconds and sent to customers for payment directly from the system. The invoice specifies the goods, services, their cost, as well as discounts and taxes. You can convert invoices from previously created Estimates, issue them with a link to the project, transaction or create them randomly. Rename the print form fields of invoice or create a new print form if necessary.